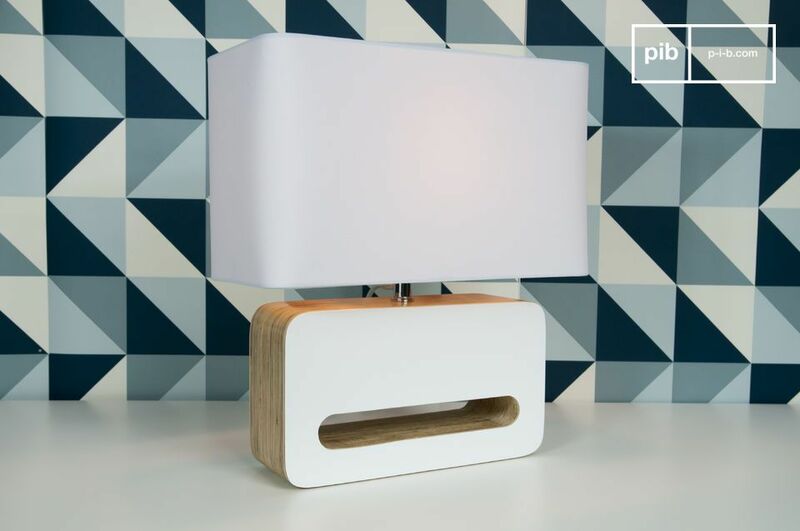 This light has genuine Sixties vintage style, with a white fabric lamp shade mounted on a foot carved from a block of plywood. 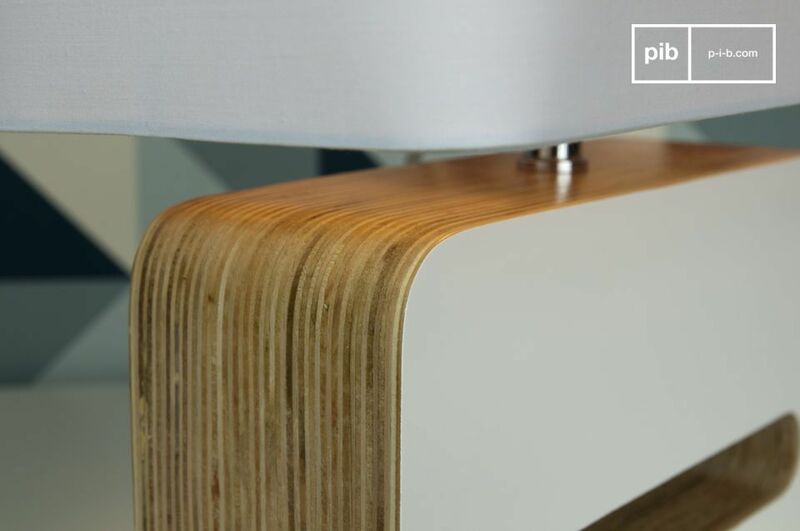 With its rounded edges and white lacquered surfaces, this lamp will find its natural spot in a vintage style interior, but also in a more classic setting thanks to its varnished wood. 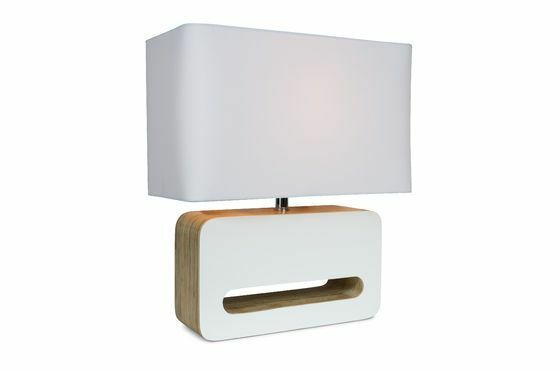 A beautiful touch of Scandinavian retro design for the living room, or the bedroom, you can also use it as a desk lamp. 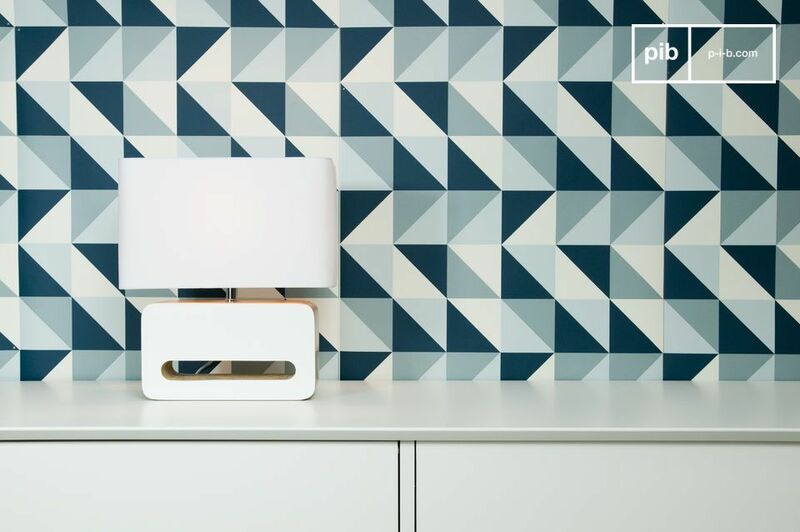 You will loves its finish and attention to detail, with a transparent switch and felt pads under the lamp to protect your furniture. 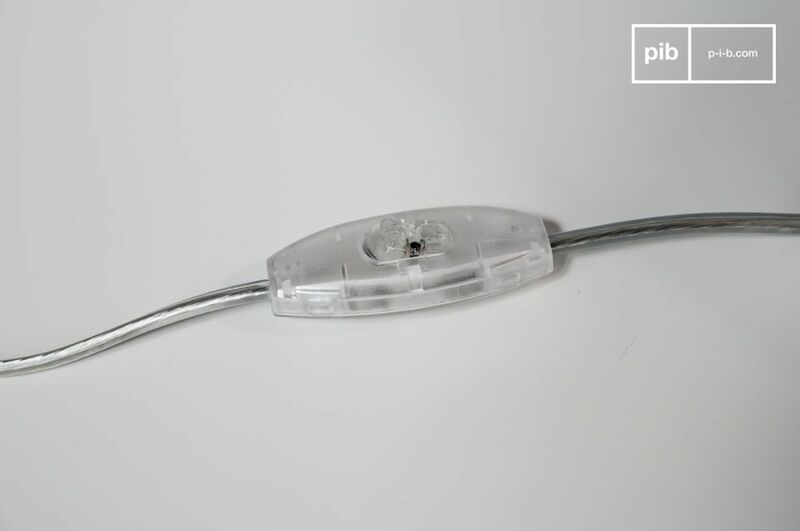 Works with an E27 large screw light bulb, available in most large-scale retail stores. Maximum power with an incandescent light bulb is 75 Watts, or 22 Watts with a low-energy light bulb. 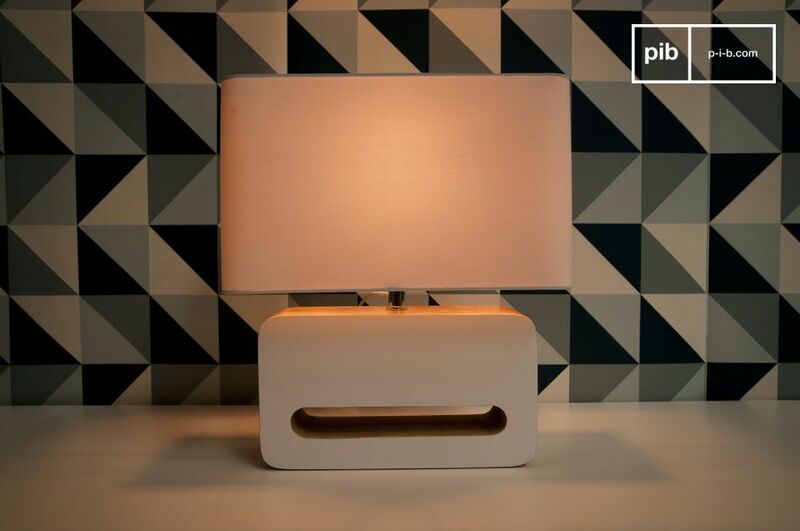 Also available to order with a lamp shade and black lacquer. 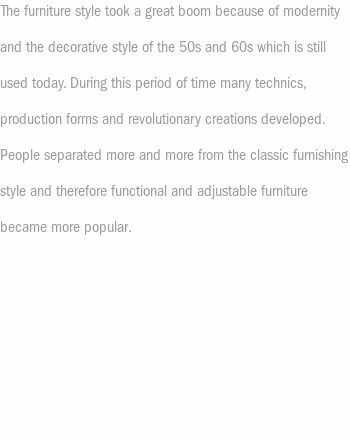 "A great product. 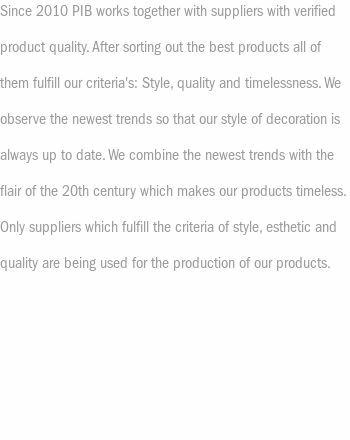 Elegance, design and quality. Just what I wanted. I really recommend it."